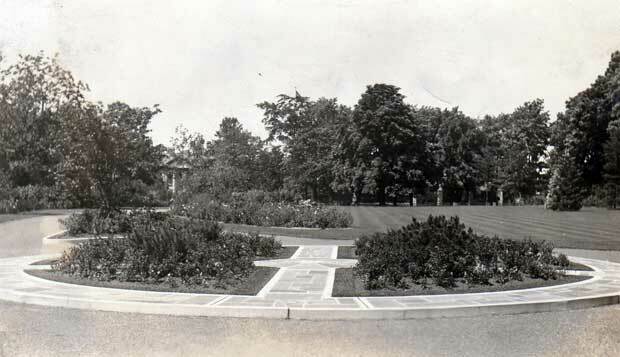 A view of the front gardens of the Charles Robson home, circa 1935. The home was located at 283 Simcoe Street North. A002.10.19.